The CEO of Globalweb.com.ng is Abubakar Sadiq whom is a Civil Engineer by profession and a blogger in Addition. 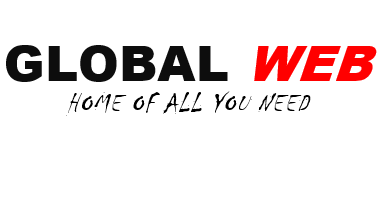 Globalweb.com.ng is a website designed to meet the needs of its viewers expecially target of Nigerians. Technology, telecommunication stuffs relating to mobile phone and sports is the driving force of modern development and entertainment. In globalweb.com.ng, we focused on delivery update informations on phone and telecomms review, latest soccer videos and news around Nigeria. You can you can reach us using the contact us tab.